Love is a tricky thing. We confuse love with loyalty, lust and many different things. There are many different things that we can call love but are we truly in love or is it just a feeling of comfort? Stacey Jackson is a woman who is not looking for love. She is a beautiful person both inside and out. She has been in a few relationships in her short life but she is currently in a steady relationship with Patrick but has had her eye on Ronnie since she stepped on campus the first day of her freshman year at Howard University. Patrick Smith is on the basketball team at Howard University and thinks that he is God’s gift to everyone especially the women. He has captured the heart of Stacey and he thinks that he is big man on campus but with his attitude he is slowly but surely becoming the low man on the totem pole and doesn’t even realize it. Ronnie Morgan is the man who ALL the women on campus want but he doesn’t want to them. Ronnie is interested in his music plus playing basketball, but there is one certain woman that he has his eye on that no one can compare to. Love Lessons is a dramatic romance novel with all the qualities of a Lifetime movie in it. You have the drama, suspense, emotional ups and downs and the interaction with the characters that keep you interested in the novel all the way through to the end. Grimble did an excellent job with the story line with keeping you involved and engrossed and wanting more. I enjoyed reading this and look forward to reading more from her in the future. 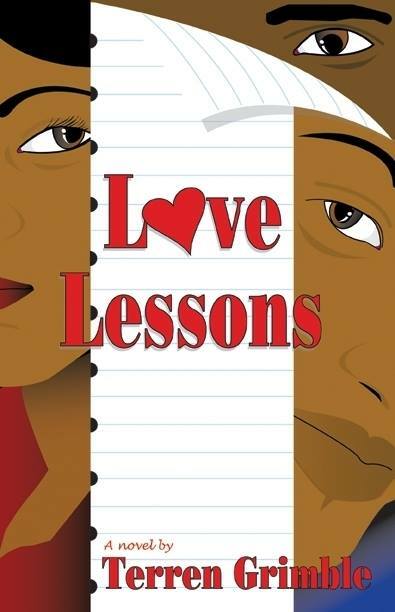 Love Lessons is available for purchase through Amazon.com (paperback and Kindle), BN.com (Paperback only) and the authors website: http://www.terrengrimble.net/. It is hard to distinguish between what the heart wants and what is good for the heart, it sometimes feels like it is the same thing. The main thing is trying to figure out if it is two different things which one should you go with and will you be happy with your decision. These are some of the things going on in Heart and Soul book number two in The Heart series, good bad or indifferent, we will see if the heart really does win. Carson and Seprah King are newlyweds and in total bliss! They are enjoying their honeymoon with each other when Carson breaks it to his brand new wife that he is going to follow his calling and go into evangelism. This doesn’t please Seprah but she loves her husband and will let him go with his following, even if it does mean that he has to be away from home frequently. Carson loves his wife with his everything but his love of the Lord is outweighing everything else right now. Will this new marriage be able to stand the distance or will Carson have to make one of the hardest decisions of his life? Laramie King is still single and trying to get over his love that he had for Seprah so he is actively dating MANY women, including her sister Lonnie. When the word gets out that criminal Cornell Hobbs has escaped, Carson entrusts Seprah into Laramie’s care. Is this a wise decision considering Laramie’s feelings for Seprah? Has Laramie totally gotten over his feelings because his brother and Seprah has gotten married and she is “off-limits?” Should Carson be concerned about Laramie or should he trust him as being his brother’s keeper and watching over his wife as asked? Heart and Soul is a book of love and life decisions. It makes you realize that you can think with your head but ultimately don’t we really make most of our life decisions with our hearts? The characters in this book play very well off of each other, you are reading this book like you are watching a movie and you sometimes find yourself talking to the book asking questions or telling the characters what they should or what you WOULD do. I love the way that Terrell makes you feel when reading this book, this is any of us on any given day in any relationship. I love the realness of this read. I absolutely look forward to reading more from Terrell. 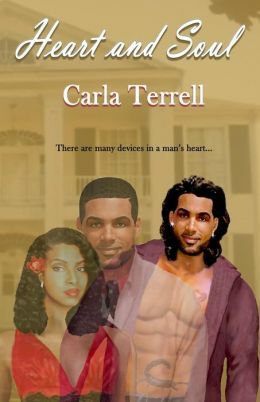 Heart and Soul is available for purchase through Amazon.com (Paperback and Kindle), BN.com (Paperback only) and the author’s website: http://www.cyterrell.com/.